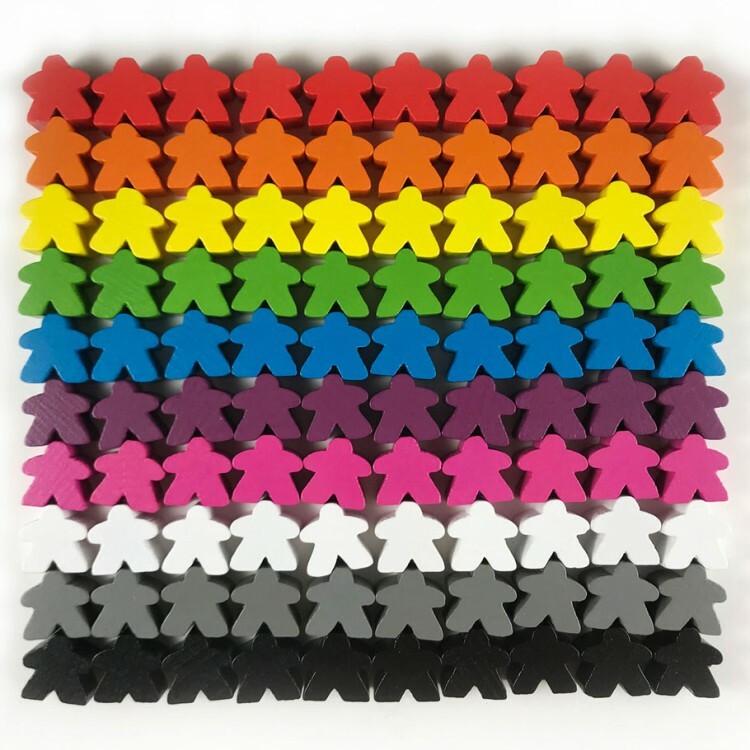 100 Wooden Meeples (16mm x 16mm x 10mm). 10 different colors! 10 of each: Red, Orange, Yellow, Green, Blue, Purple, Pink, White, Gray and Black. Comes in reusable plastic bag.